Length 5.5-7.5 mm. 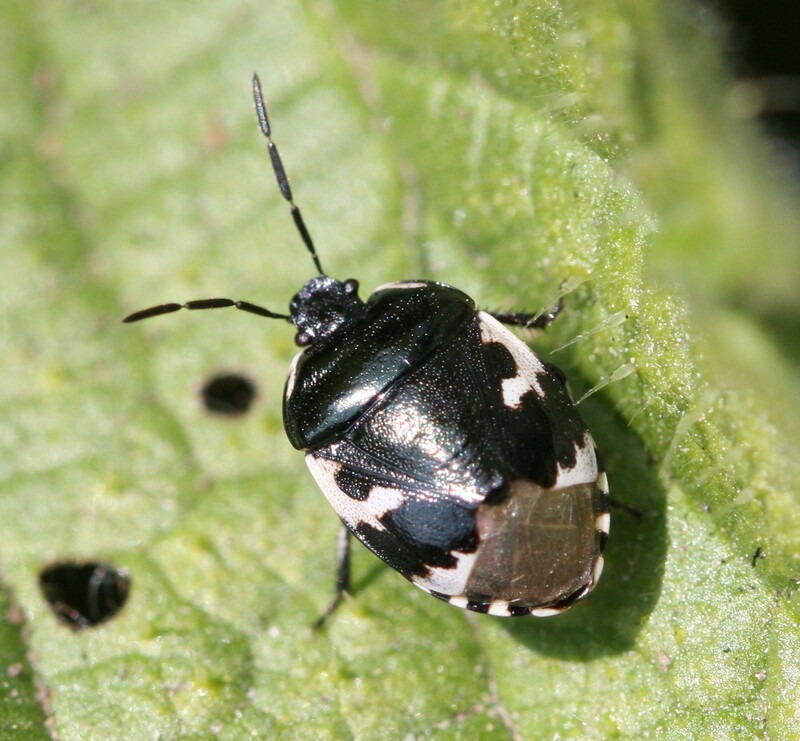 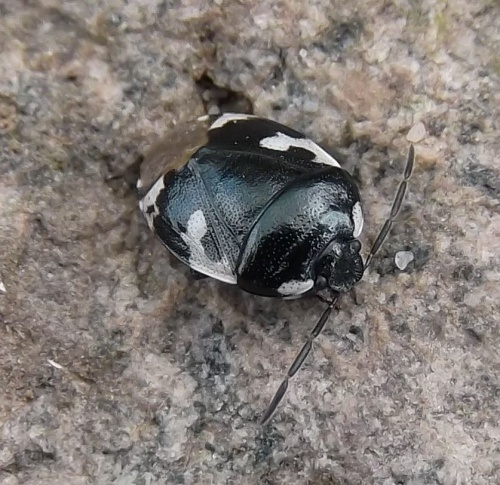 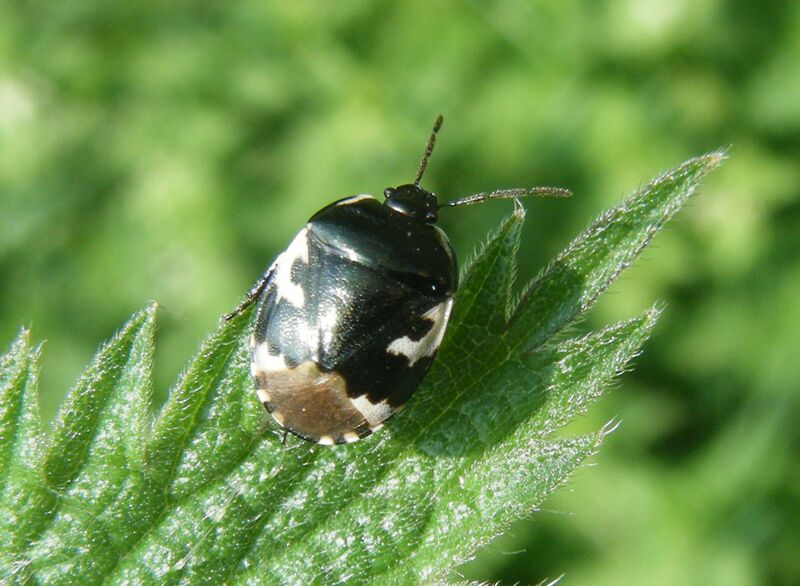 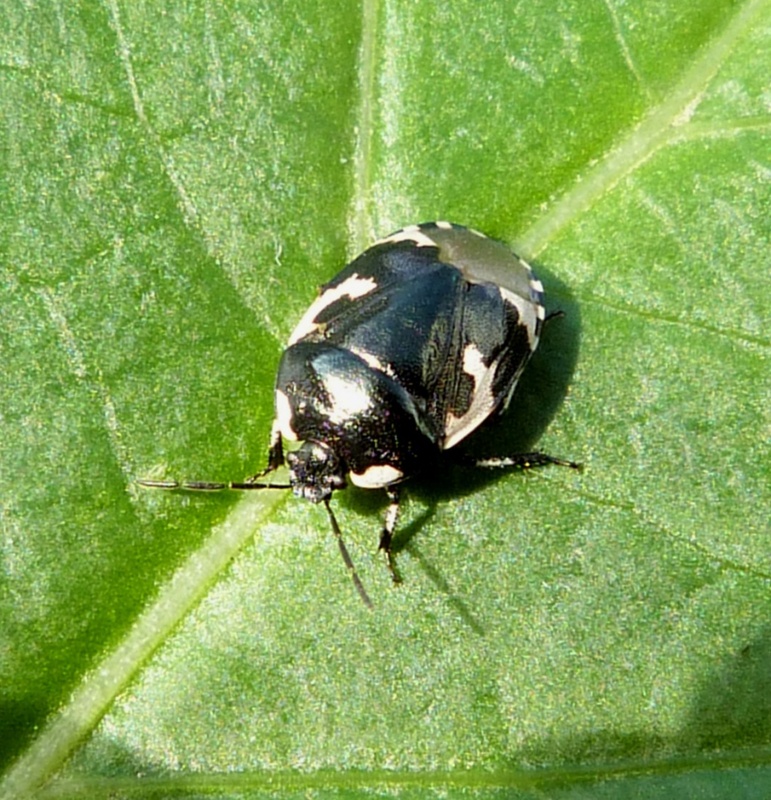 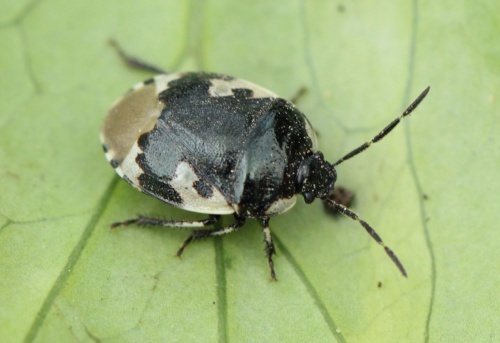 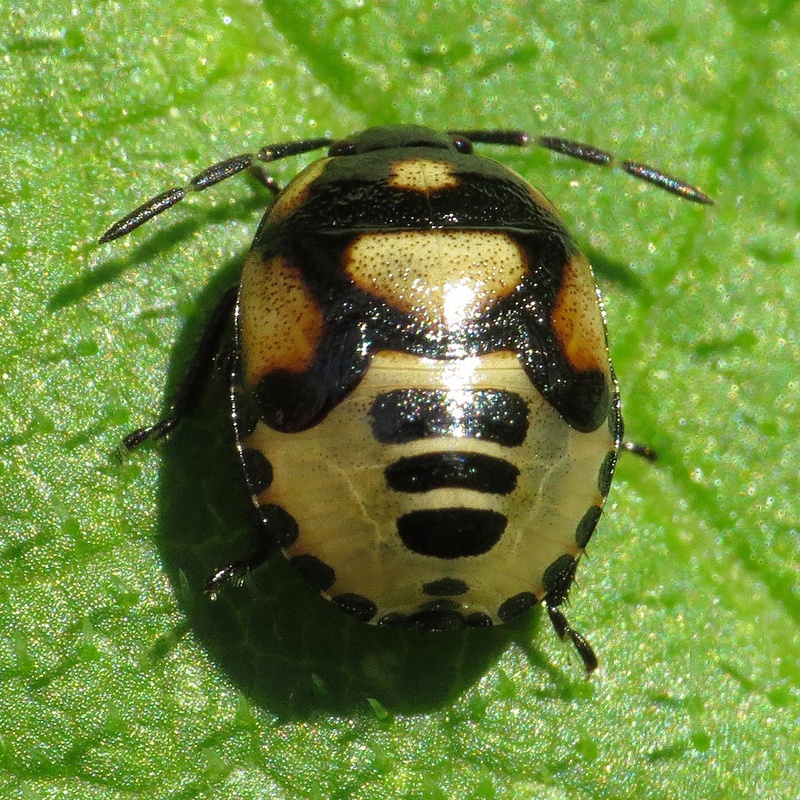 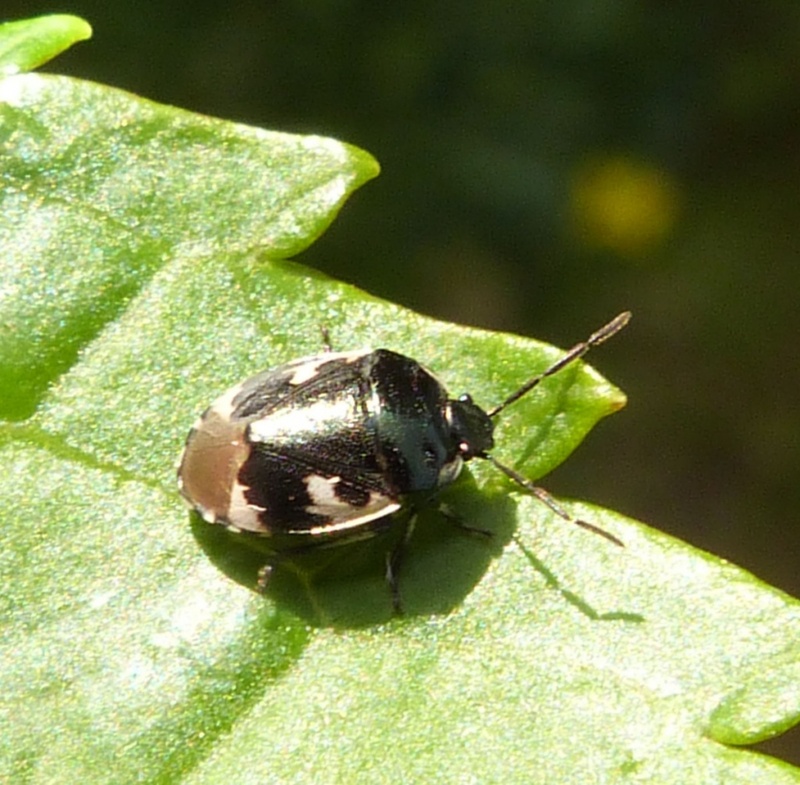 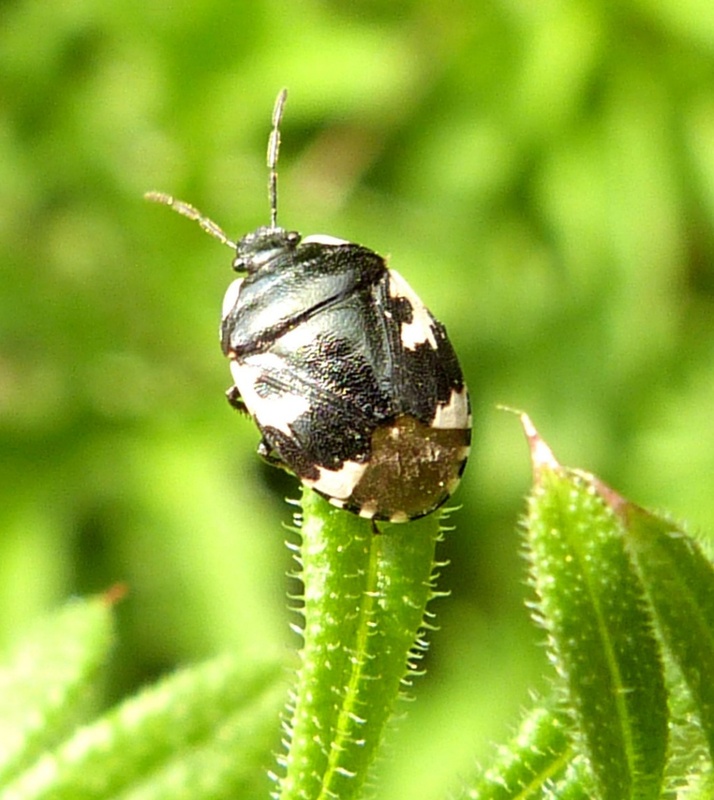 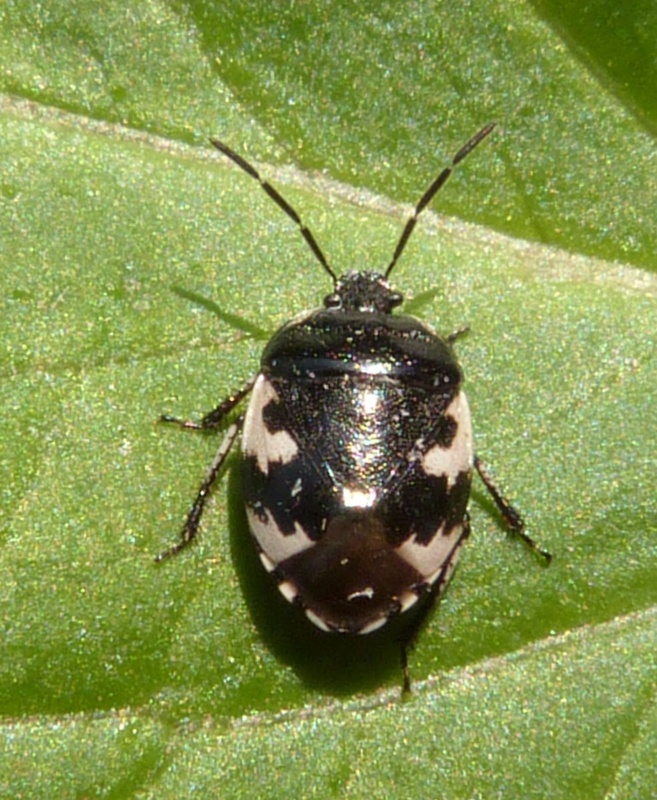 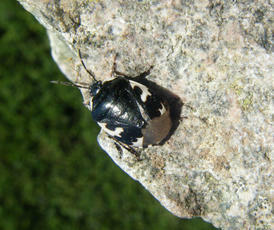 A distinctively marked black and white shieldbug which is unmistakeable as an adult. 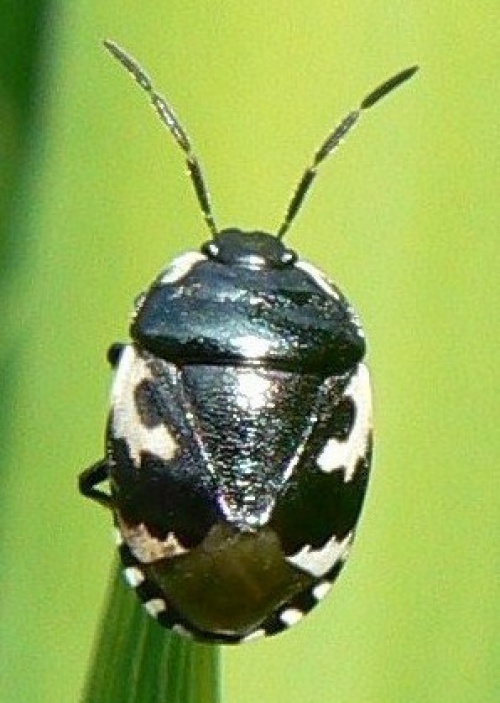 Like other members of this family, it is a ground-dwelling species, but may be found feeding on the aerial parts of the main host plants. The sexes can vary considerably in size. 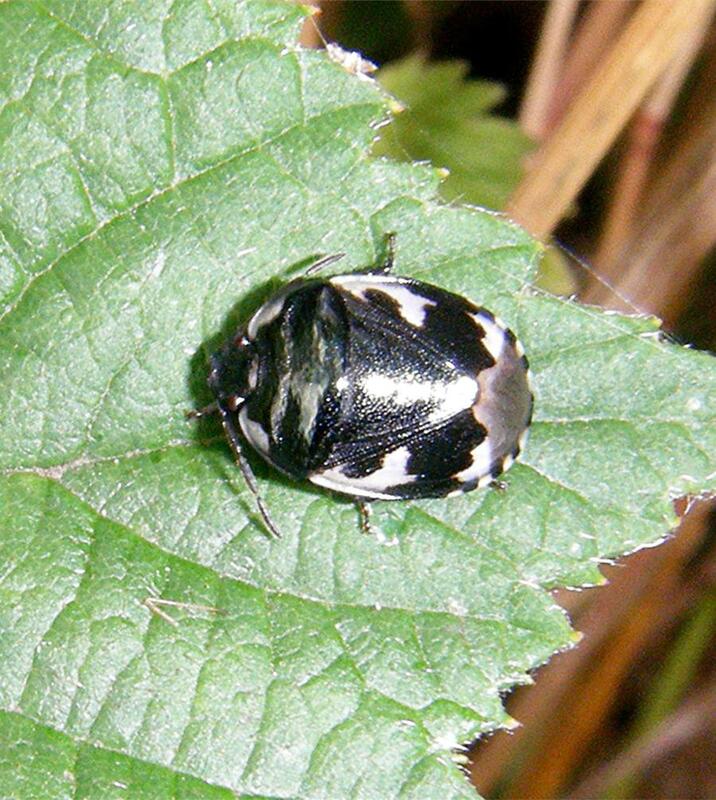 A very similar species Tritomegas sexmaculatus (Rambur's Pied Shieldbug) was found in Kent in 2011. Whilst it is doubtful that it has reached Leicestershire yet we should remain alert to the possibility of it heading our way in the future. For more information see the relevant page on British Bugs. Found in hedgerow and woodland edge habitats, feeding on White Dead-nettle and Black Horehound. There may be two overlapping generations each summer and females exhibit brood care of the eggs. 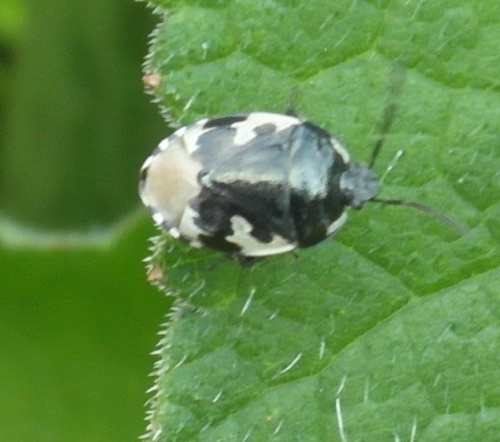 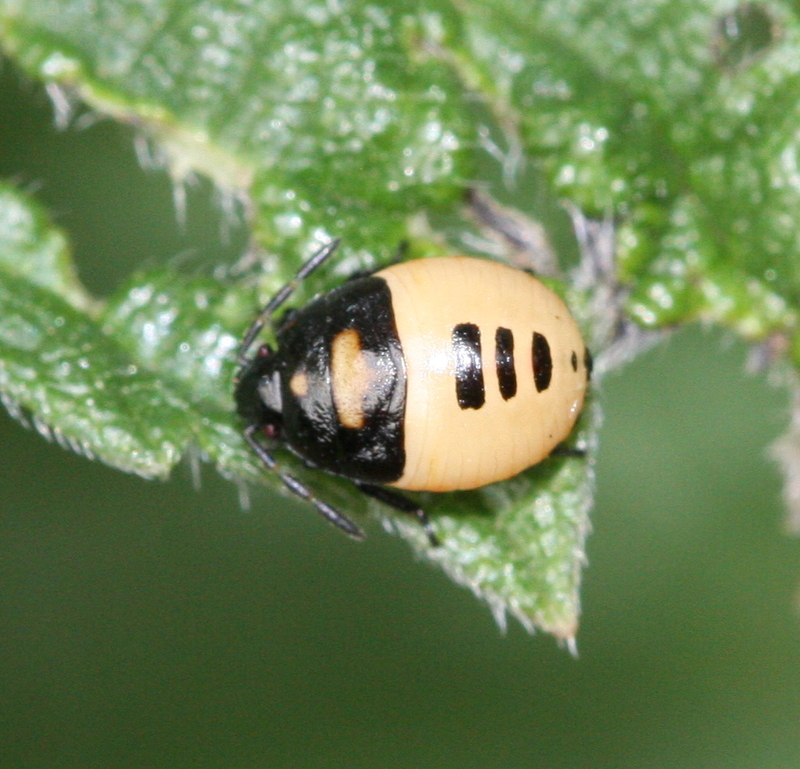 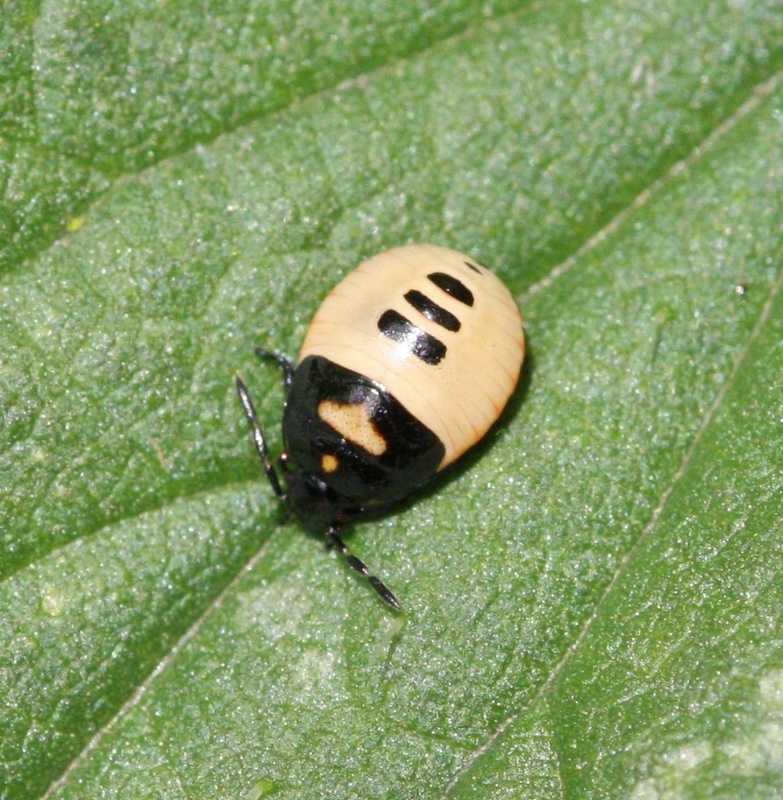 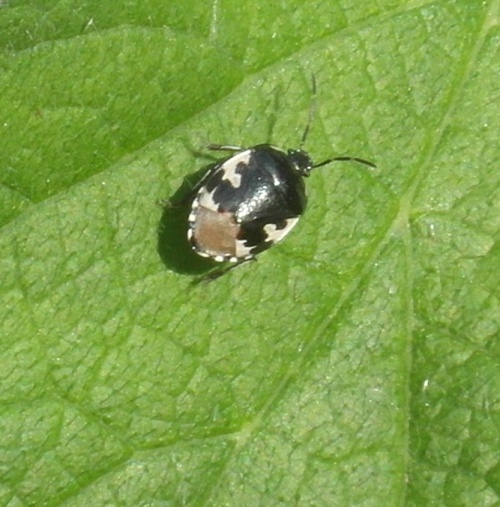 While later larval stages are characteristic, early instar nymphs lack the pale patch on the pronotum and may be confused with those of Eysarcoris venustissimus. Widespread in southern Britain, becoming rarer northwards and absent from Scotland and Ireland.